Kaiba Gionfriddo was only six weeks old when his parents first watched in horror as he turned blue during a family dinner at a restaurant. The baby suffered from a medical condition called tracheobronchomalacia, which would often cause his bronchus to collapse and block the crucial flow of air to his small lungs. It’s not the rarest of conditions: approximately 1 in 2,200 babies are born with tracheomalacia, and most children grow out of it by age 2 or 3. Kaiba, however, had a severe case of tracheobronchomalacia and weak airways, which turned every breath the boy took into a risk. If it weren’t for the wonders of 3D printing, Kaiba would likely no longer be alive today. Countless times, Kaiba’s mom and dad were forced to watch powerlessly as their baby would literally stop breathing and turn an unnatural colour. As Kaiba’s mother, April, would later recount, quite a few doctors said there was a good chance the boy would one day not make it out of the hospital alive. His parents growing ever more desperate, Kaiba’s doctors decided to contact Glenn Green, M.D., an associate professor of pediatric otolaryngology at the University of Michigan, where a new device that could help the baby was under development. In collaboration with his U-M colleague, Scott Hollister, Ph.D., a professor of biomedical and mechanical engineering, Green obtained emergency clearance from the Food and Drug Administration (FDA) to create and implant a tracheal splint for Kaiba made from a type of biopolymer. On February 9, 2012, the custom-designed stent was placed in Kaiba at C.S. Mott Children’s Hospital. As soon as it was in place, Kaiba’s lungs started going up and down for the first time, and Green felt an immediate surge of relief – right then and there, he knew everything would be ok. And indeed, Kaiba’s breathing problems have completely disappeared ever since the operation, and because the stent in his throat is bio-resorbable, it too will be gone soon. It’s an amazing story, but what makes it even more extraordinary is that the fact that the splint that saved Kaiba came straight out of a 3D printer, using an additive manufacturing software program that was designed and developed specifically for biomedical professionals. This week, I paid a visit to the maker of that software – dubbed Mimics Innovation Suite – and found a company with nearly as many sides to it than the amount of layers it 3D-prints on a daily basis. Meet Materialise. All of it. To wit, Materialise is a company with a multitude of facets. 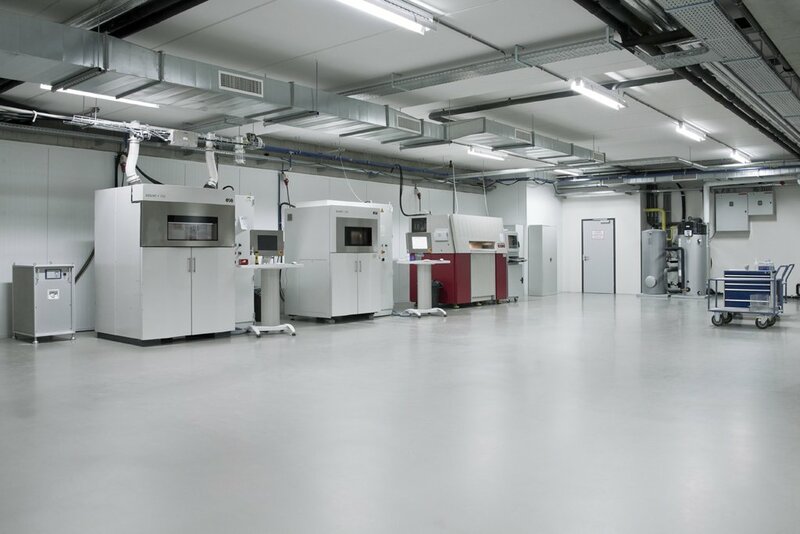 The company is a longtime specialist and innovator in the field of additive manufacturing (what 3D printing used to be called among professionals) but it’s a challenge to pin down exactly what they do. The company makes (both clear-cut and fully customized) 3D printing software, sure, but not only for 3D medical image processing purposes. For example, Materialise allows design engineers to use 3D printing and prototyping as part of their toolbox in just a few easy steps. The company also manufactures its own special-purpose 3D printers, and it has created a separate business out of RapidFit, which provides major international plastic part manufacturers with customized jigs, fixtures and quality control solutions. And if you think that makes Materialise a B2B service provider only, you would be selling it short. 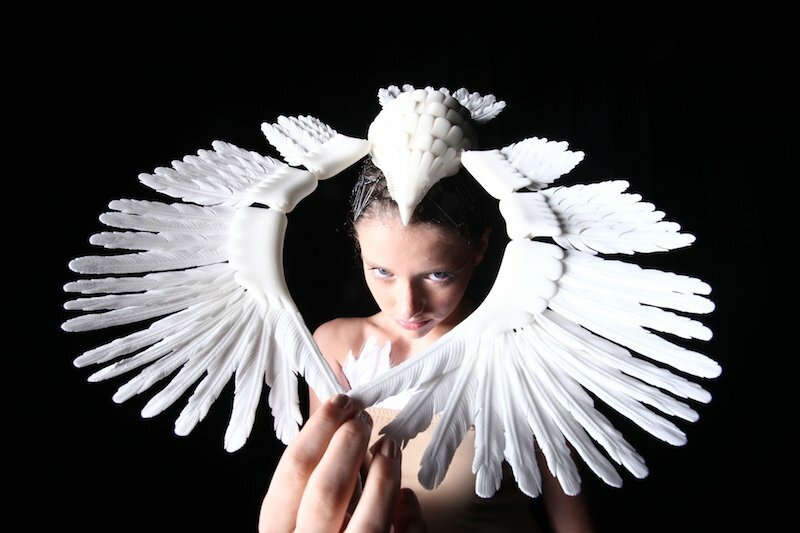 The company also offers a highly regarded online 3D printing service dubbed i.materialise, enabling anyone to create, share and even sell 3D-printable designs. 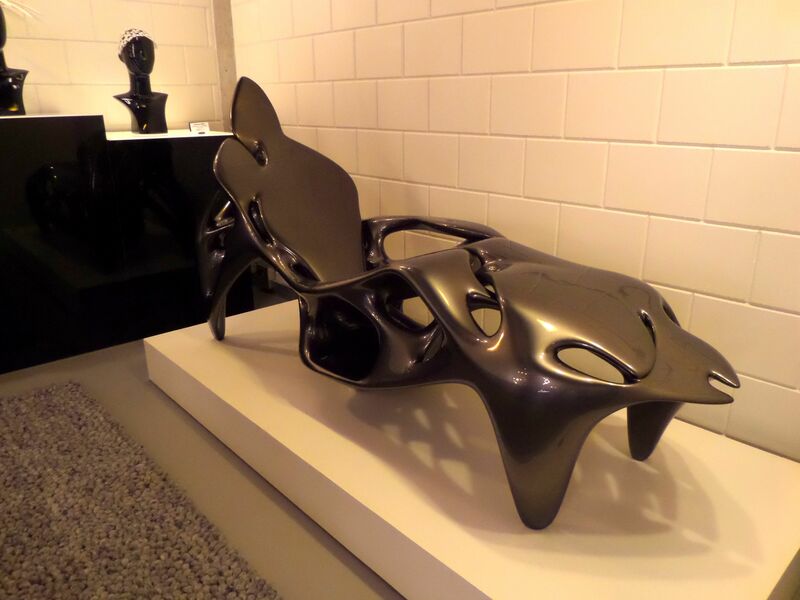 If that weren’t enough, Materialise also runs the business behind .MGX, a line of high-quality 3D-printed design products that have found their way to many an international design museum and trade publication. 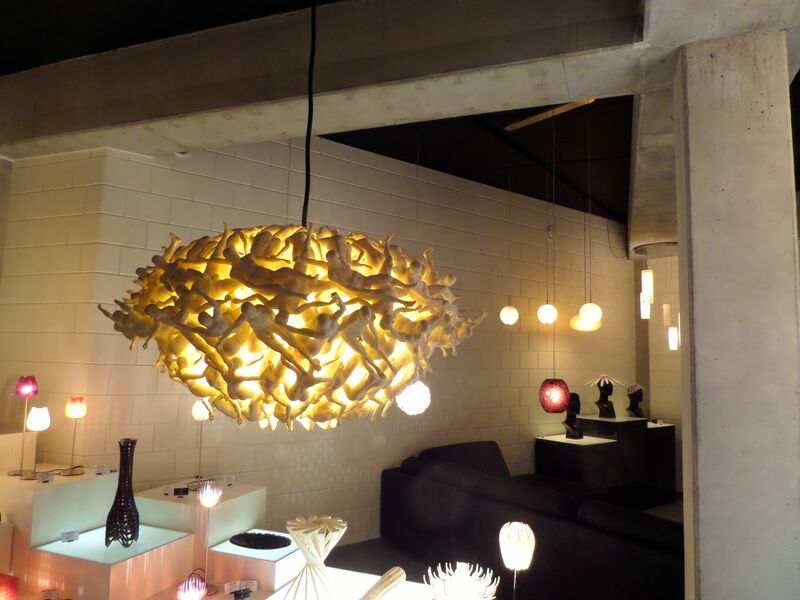 The .MGX collections are all about lighting, interior design items or fashion. 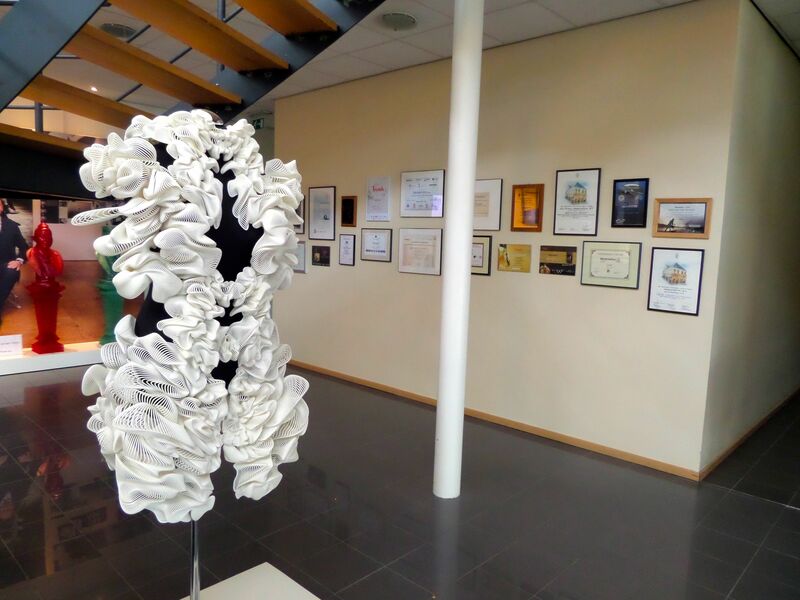 Below is the 3D-printed ‘escapism’ dress designed in 2011 by Dutch couturier Iris Van Herpen – a gorgeous work of art that received accolades from TIME Magazine, which named it one of the 50 best inventions the same year. Oh, and you need only stroll into the lobby of Materialise’s headquarters in Leuven, Belgium, to get a peek at the first (at least partly) 3D-printed – fully functional – race car in the world. When you go looking for technology that truly affects people’s livelihoods, and downright saves lives as the above story of Kaiba shows, it’s difficult not to be impressed by Materialise’s track record. For example, let’s take a look at a case involving anaplastology expert Jan De Cubber, affectionately known as the “grandfather“of prosthetics”, who collaborated with clinical engineers at Materialise to literally give a cancer victim half his face back. Or when, in December 2011, a team of surgeons successfully performed a full face transplant, making heavy use of digital imaging and 3D printing tech for the planning and execution of the procedure. Or every time a specialist can more quickly and easily perform surgery because a 3D virtual plan has provided him with the necessary information to drill and saw bones more accurately and effectively. 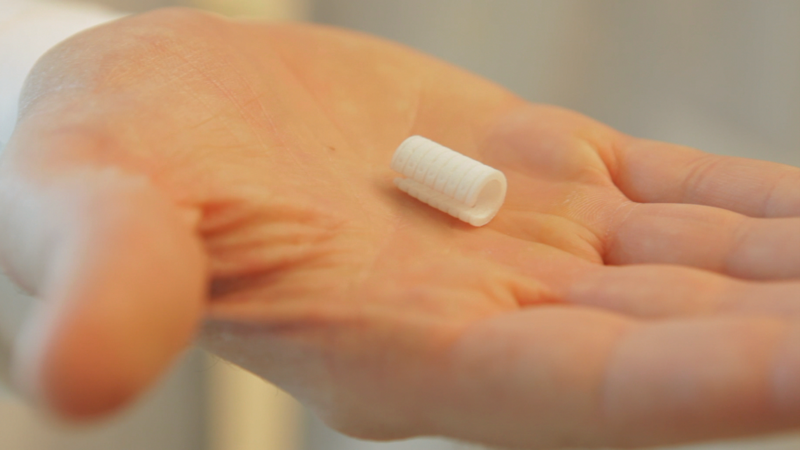 But, again, Materialise’s solutions aren’t just for medical professionals. For one, the company has also made its mark at numerous fashion shows around the world, including the New York Fashion Week. When people in the Internet industry talk about 3D printing, they usually mention companies like the recently acquired MakerBot and Thingiverse, marketplaces and communities like GrabCAD and Shapeways, alongside nifty stuff like the 3Doodler. But Materialise has been in this game for almost 25 years now and has always been keen on heavily investing in research and development, which means they’ve built up a heck of a lot of expertise and – crucially – a veritable trove of increasingly valuable intellectual property. The company currently employs more than 900 people across a large number of offices in Europe, the US and the Asia-Pacific region, and hiring more across the globe every day. Its technology is today being used by professionals in the automotive, aerospace, orthopaedic, cardiovascular and dental industries, as well as in architecture, jewelry, art and more. Materialise’s innovations haven’t gone unnoticed in the additive manufacturing industry, of course, but the company also reaps the benefits of the current hype when it comes to everything related to 3D printing, especially when it comes to the consumer part of the equation. 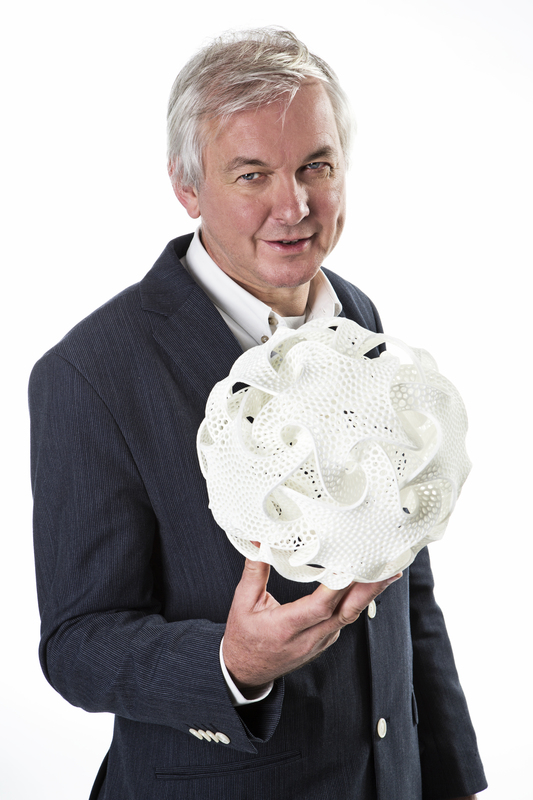 “When I saw my first 3D printer in 1989, I believed in the potential for the technology to improve people’s lives so much that I started Materialise. In fact, my wife Hilde and I put every last cent we had into founding the company – Hilde could not even buy a loaf of bread the day after the first machine was purchased. One thing that might be in the company’s future is an IPO. While the company has been profitable almost since the day it got started, and only executed a few capital raises since its founding to accelerate growth and invest in new innovations, Materialise was recently in the news for something a lot of European technology companies dream of. The Wall Street Journal reported earlier this month that Materialise is considering an initial public offering on NYSE Euronext or Nasdaq that could raise between $70 million and $100 million. Bart van der Schueren, an Materialise Executive Vice President that has been with the company since the beginning, remains unfazed when I ask him about the rumours. Van der Schueren always keeps multiple options for new capital raises on the table, a public offering of its stock only being one of them. He declined to confirm whether Materialise is exploring an IPO, however, and wouldn’t comment on the valuation the company could command on the public markets. One thing is for sure: the timing for an IPO seems right. With the current interest in all things 3D printing, last year’s multi-billion dollar merger between Stratasys and Objet in addition to the recent IPOs of German manufacturer of industrial 3D printing systems Voxeljet and ExOne (both of which raised more than $100 million), you can argue that there has never been a better moment in time for Materialise to take its stock public. Whether that means an IPO will materialize in 2014, remains to be seen. It's getting crowded: with roughly 100 startup accelerators across Europe, how many are enough?